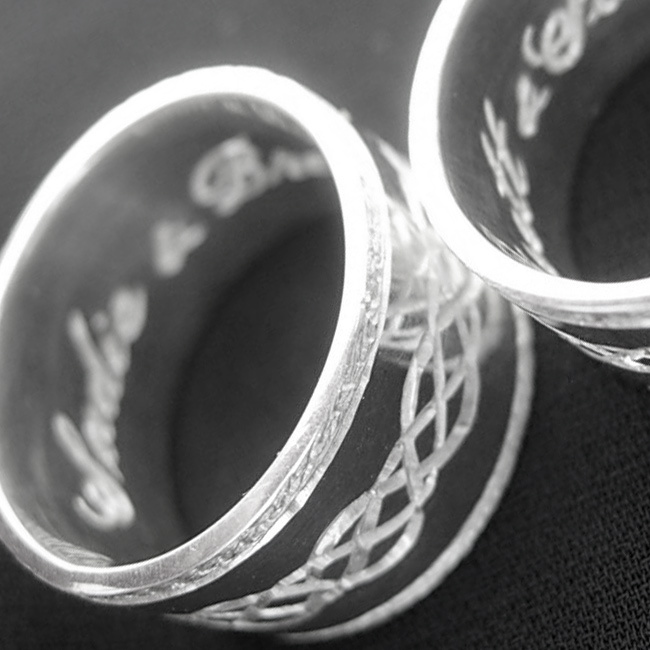 Sterling silver Celtic wedding ring, hand engraved with the Infinity Knot. 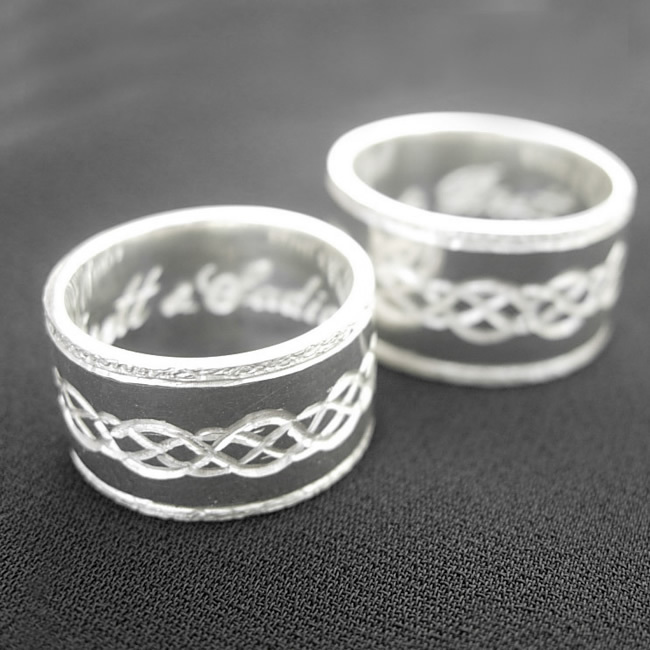 Perfect for his and her matching Celtic wedding rings. 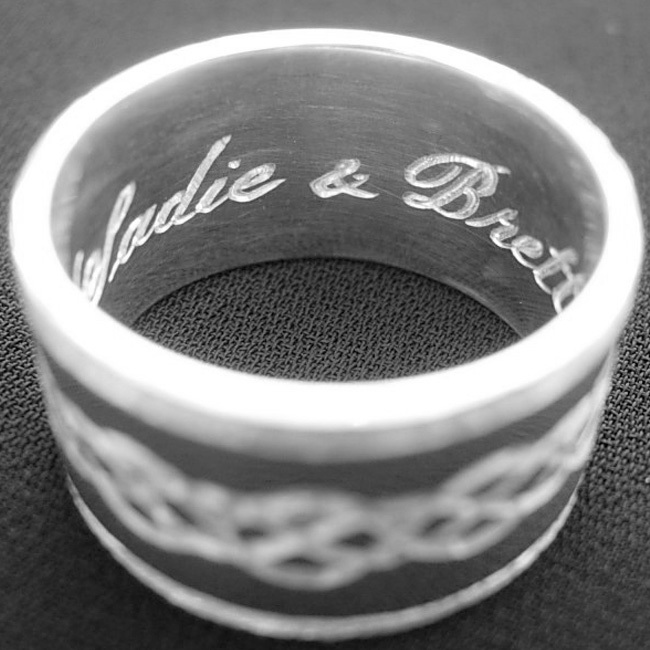 Availability: In stock Size: 10 × 2 cm Categories: All Jewellery, Ring, For Woman, For Men, Wedding, Wedding Jewellery, Wedding Rings. Tags: fashion, Men, men clothes, Short Jean, T-shirt. 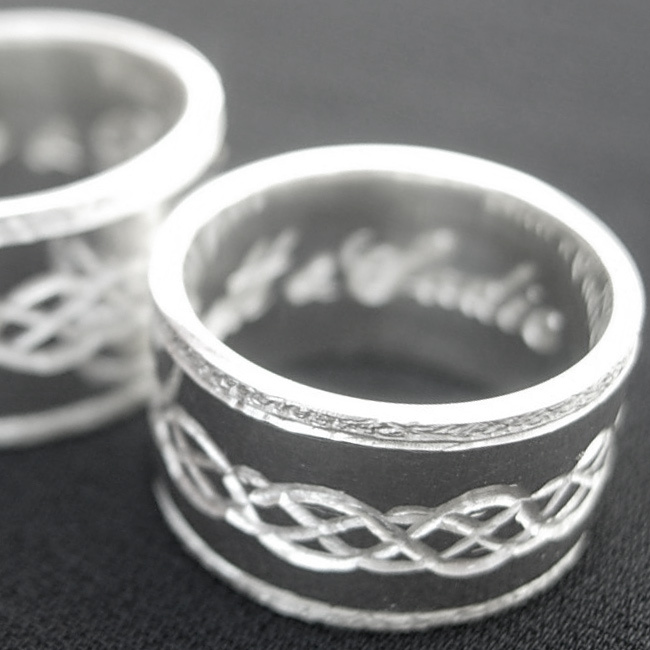 Web Design Wirral - Be Bold Studios DS.